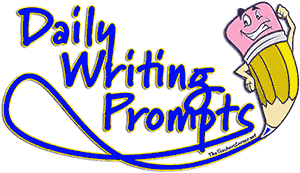 Below are daily writing prompts for the month of April. The majority of the prompts are related to the various events on our April Events Calendar. These events include birthdays, holidays, monthly celebrations, and important dates in history. Some of the dates include two different writing prompts to choose from. You can download a PDF worksheet of the writing prompt. Even though your students may not be in class all the days of April, use the prompts from those days as additional writing practice. Don't forget to also print a copy of our April Events Calendar. This will help you utilize the daily writing prompts. We also have many other April Activities, Lesson Plans and Resources. Note: Variable date writing prompts (Easter) are found at the bottom of page 2. If you could own any animal as a pet, what would it be and why? We also have many more Earth Day Activities and Lesson Plans!